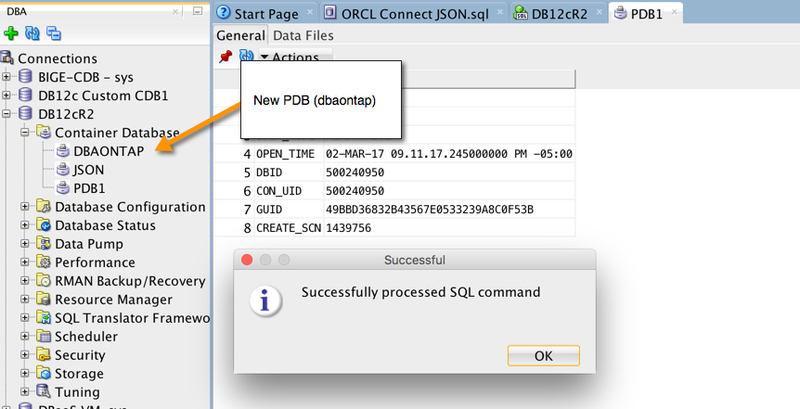 Continuing along with the release of 12cR2, let’s quickly look at creating a PDB in the database. 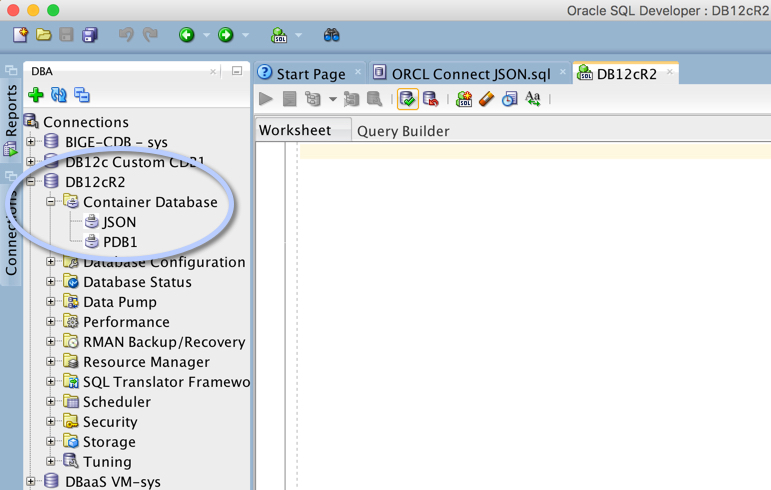 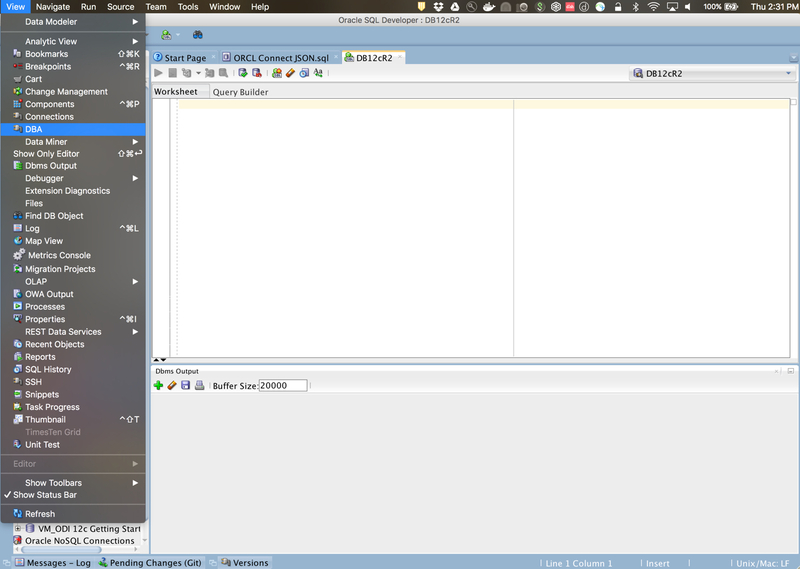 Now that we have a database installed fire up one of my favorite tools, SQL Developer and let’s get to work. 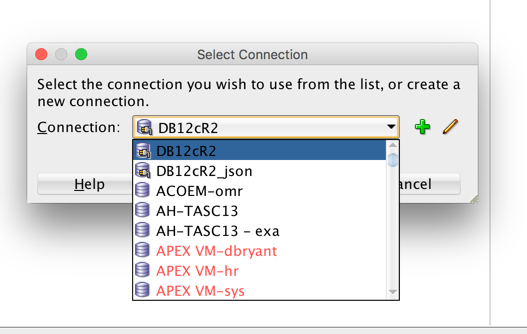 Note: These steps have not change from 12cR1, but maybe you haven’t seen that process either. 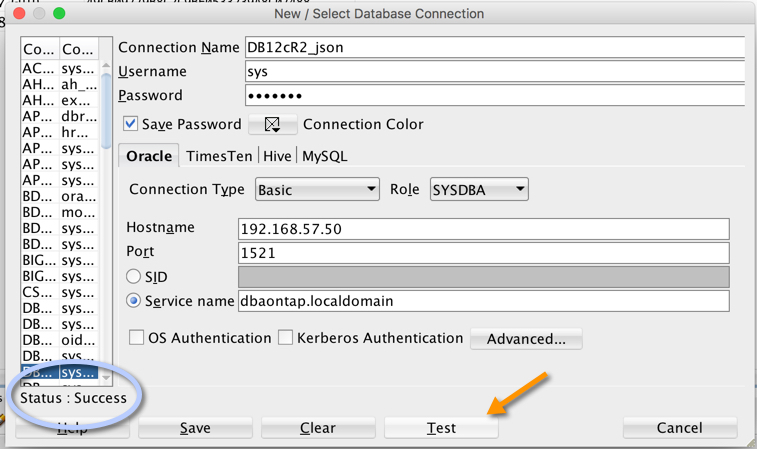 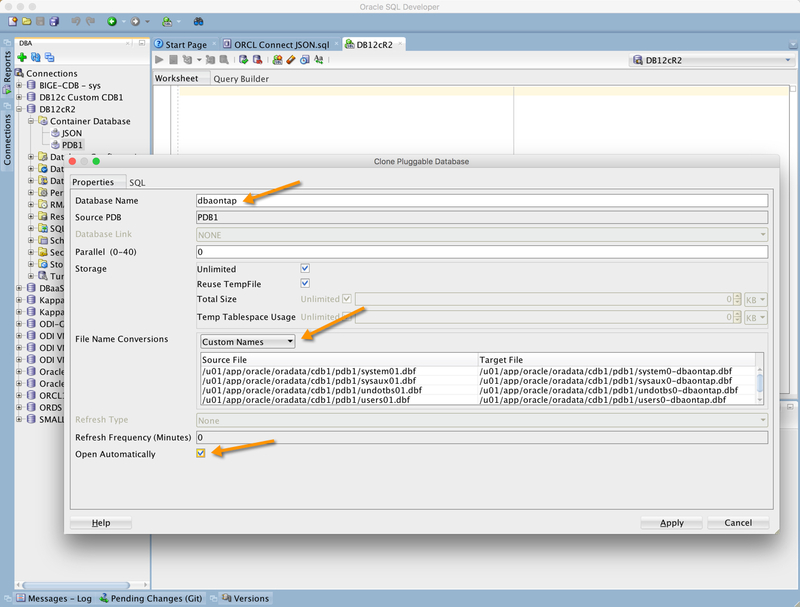 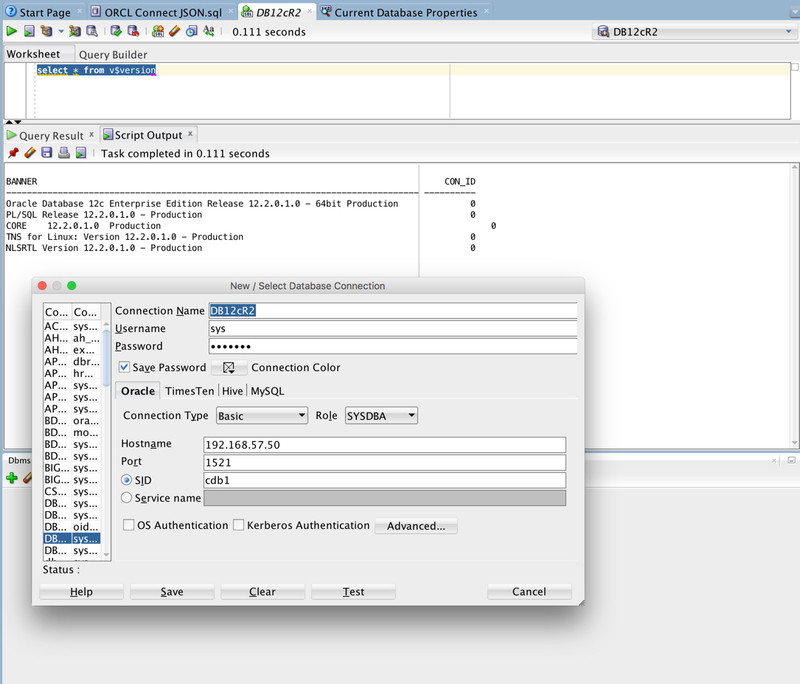 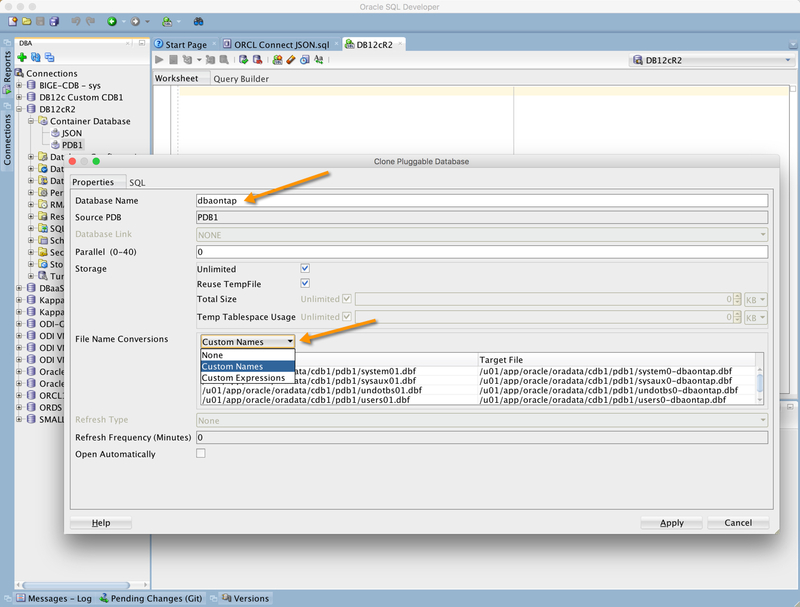 Next we will open up the DBA view and create a connection here. 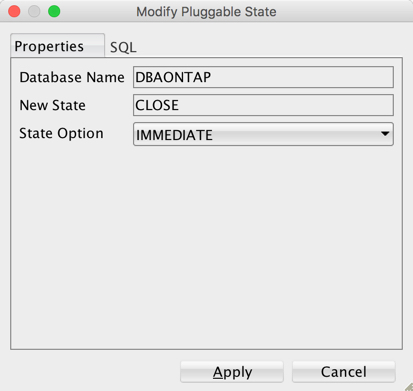 Below you can see that if we use the Open Automatically option, the available State Option is IMMEDIATE and the New State will be CLOSE. 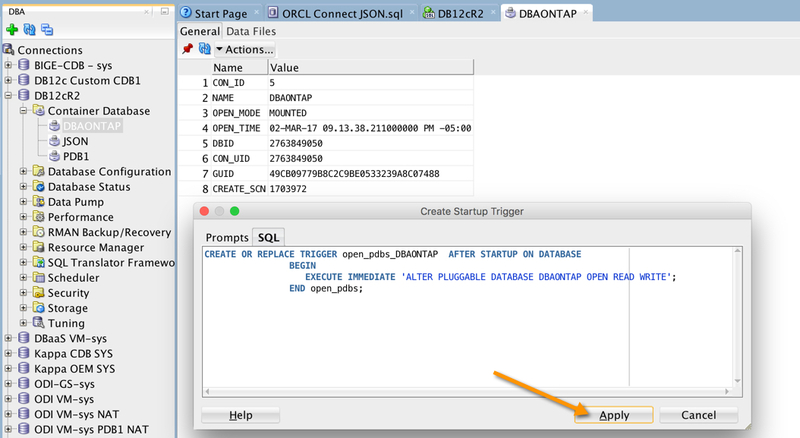 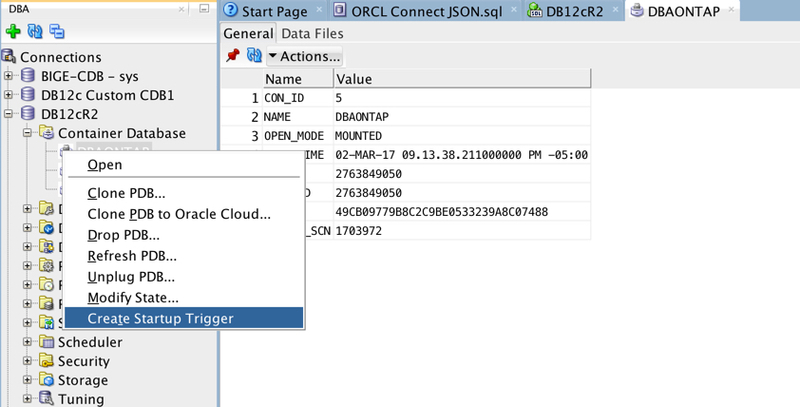 EXECUTE IMMEDIATE 'CREATE PLUGGABLE DATABASE "dbaontap" FROM "PDB1"
View of the same screen and SQL with the Open Automatically checkbox unchecked. You will notice here that the available State Option is READ WRITE indicating that the New State will be OPEN and the database will be in READ WRITE mode. 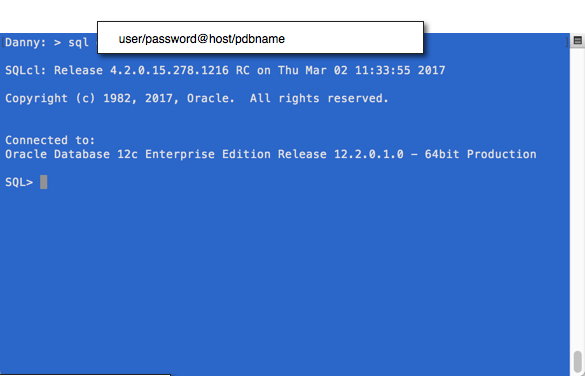 Finally what I like to do is, right click on my shiny new PDB and Create Startup Trigger. 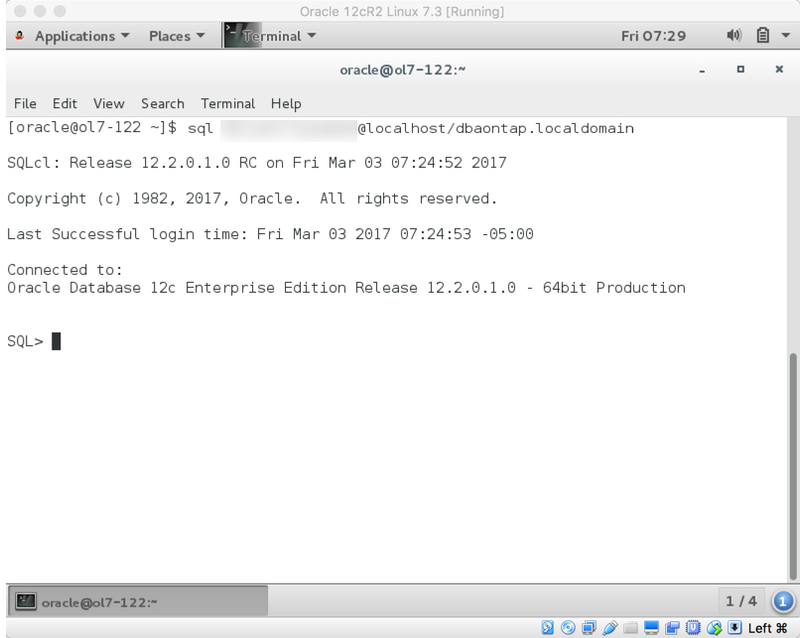 and SQLcl from my MacBook and the Linux VM.